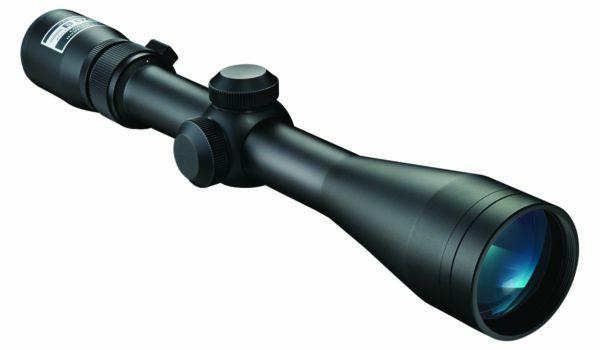 Nikon announced that it will start to ship and introduce the 3-9x50 version of the successful Buckmasters II rifle scope serie﻿s. This new model is on its way to retailers now. This introduction fills a gap that didn’t exist in the original Buckmasters lineup. A scope that’s specifically designed for low-light conditions in the most common magnification range. Shots in low light conditions are some of the most common and as such this scope is a great choice for any hunter. It comes with Nikon’s famous top-notch lenses and coatings. This specific scope offers a BDC reticle which offers simplicity when aiming over long distances. The multicoated lenses offer maximum brightness and clarity. Nikon offers the Spot On Ballistic Match Technology. It is available as a free app or online and allows to optimize the BDC reticle to your cartridge. This provides the best aiming experience for a hunter. The ¼ inch@100 yards adjustments on the reticle make it easy to sight-in the scope. The spring-loaded instant zero-reset turrets let the shooter return to the zero-mark after the scope is sighted-in. Nikon added a fixed 100 yard parallax setting to the Buckmasters II 3-9x50 mm. The hunter will also find a generous 3.6” eye relief preventing scope bite and improving shooting accuracy. As one would expect, the optic is also waterproof, fog-proof and shockproof. The tube matches the other Buckmasters II scopes in the series with a diameter of 1 inch. 80 MOA Elevation and Windage Adjustment max. Nikon’s suggested retail price for the scope is $179.95. It is backed by their limited lifetime warranty as well as their No Fault Repair/Replacement Policy. This is an overall great scope for any hunter and shooter. It offers superb low-light capabilities specifically at this low price point. Overall a scope that will become a favorite for a lot of folks. Nikon ProStaff 3-9×40 Riflescope Review – Truly A Great Scope?